The Bunnies are Back! Order yours for Easter!! 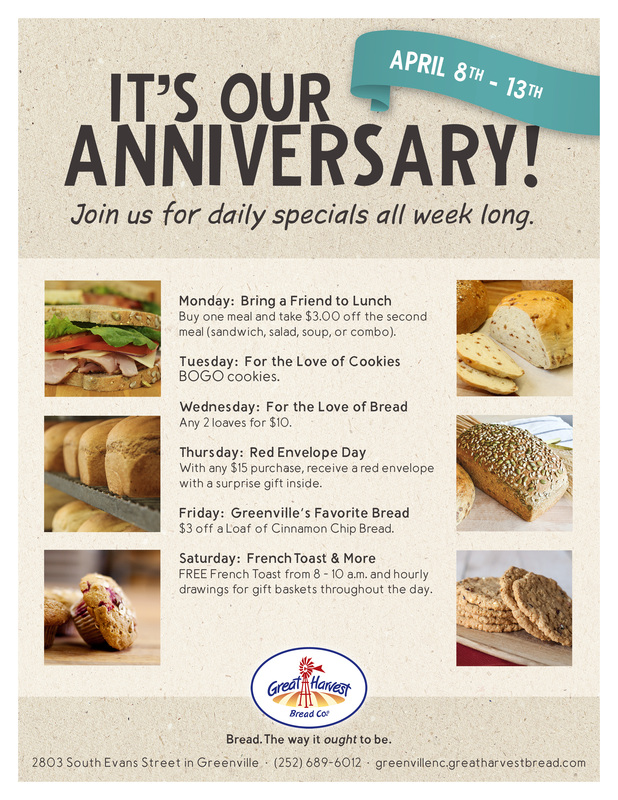 We're celebrating our Anniversary April 8-13 with specials and promotions every day for you, our wonderful customers! Join us each day for something new. Click here to see what's in store. It's time to place your orders for Easter! We'll have our Easter specials available April 15-20. Place your order online today, call (252-689-6012) or stop by the store. Click here for our current Spring Menu. Every morning, we mill premium, 100% whole grain wheat into freshly ground flour and blend it with wholesome, simple ingredients. We're passionate about baking everything from scratch to offer phenomenal tasting, nutritious products. We're a locally owned, community focused, artisan bakery striving to use the best quality of ingredients in our breads, fresh-made sandwiches and salads, and legendary sweets. 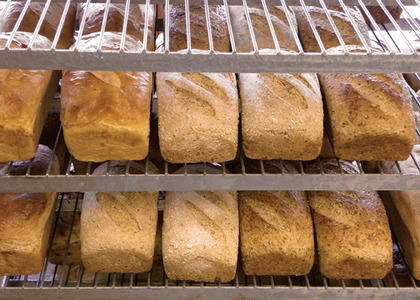 Stop by the bakery and enjoy a FREE slice of freshly baked bread! We hope to see you in the bakery soon!